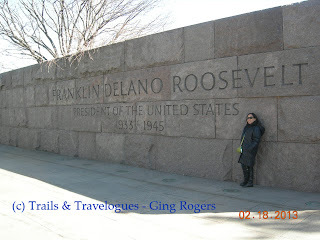 If there is one thing worth visiting in Washington D.C., it would be the FDR Memorial, in honor of the 32nd US president, Franklin D. Roosevelt. 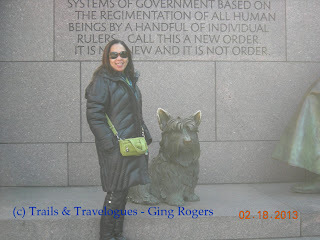 The memorial consists of four outdoor rooms patterned in sequential order, each one which reflects FDR's term of office, the sculptures that are photographed-inspired and those sculptures reflecting the scenes during the Great Depression. The entire property is situated on a 7.5 acres wide lot. One interesting point to note in the memorial is its' conceptual design of the 4 outdoor rooms and gardens which is animated by sculpture, stone and water. Waterfalls in the memorial are considered to be an essential aspect as well which act as physical and metaphoric components. Just a note: the waterfalls are turned off during winter, so if you want to visit, it would be ideal to go either before or after winter time. FDR Memorial is rich in history, so if you need to update or upgrade your historical knowledge, it is much more challenging to visit it yourself and experience the history enriching adventure!